Moebius is a game by Pinkerton Road, which was founded as a community assisted gaming studio by Jane Jensen, creator of Gabriel Knight, and her husband, Robert Holmes, the composer of the Gabriel Knight series. They started a kickstarter campaign to fund the first year of development for the studio, and let fans vote on which game would be the first to be developed out of a choice of three games. Moebius was the winner of that vote. 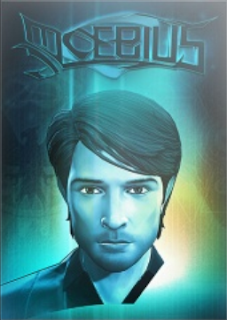 The game has an engine and art designed by Phoenix Online Studios, who had previously worked with Jane Jensen on Cognition, where she served as a story consultant. In Moebius, Malachi Rector is an antiquities dealer who hunts down artifacts all over the world. After losing everything in a fire, he's hired by a Manhattan millionaire to investigate a series of events and document them in his meticulous way. But Rector soon realizes that the events hold a bizarre significance, as does his own existence. The game was released on April 15, 2014 for PC and Mac.